Ok first, Here’s the recipe - its as easy as counting to 5! He he he… do you love the way that flows? 1. 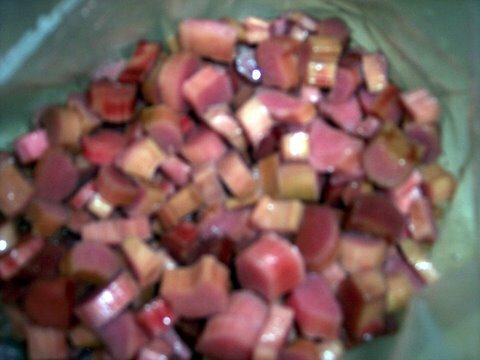 The rhubarb needs to be washed & cut into bits. 2. 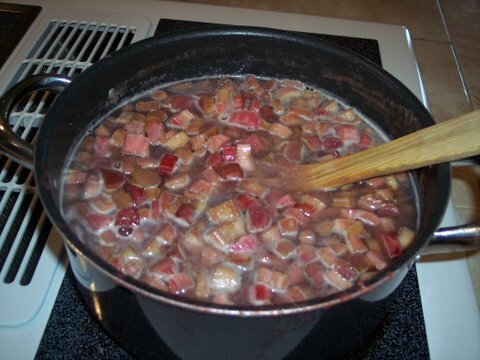 Add sugar, water and rhubarb to a large pot and boil for 5 minutes. 3. Pour into blender and puree until smooth. From here you have some choices. 1. Place in sunshine until dried. 2. Cut into strips with a pizza cutter or scissors and roll up. 1. 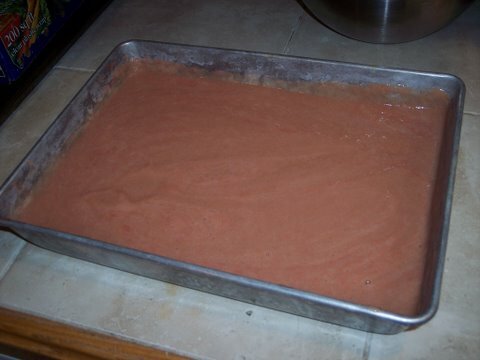 Pour smooth rhubarb into casserole pan or bar pan and freeze. Hint: The thinner layer the faster it will freeze. Once frozen you can also take to a party in a gallon baggie as a gift or treat. 2. 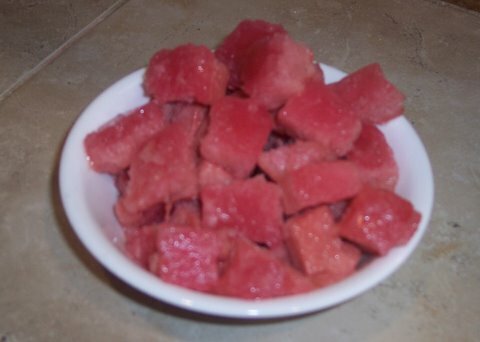 Once frozen, chop into cubes, serve with a spoon or as the ice cream in a Sprite or Fresca float. Its all delightful, especially on a hot summer day! I hope you find this easy recipe delightful and refreshing and convenient too! I wish you the best and happy savings till next time! 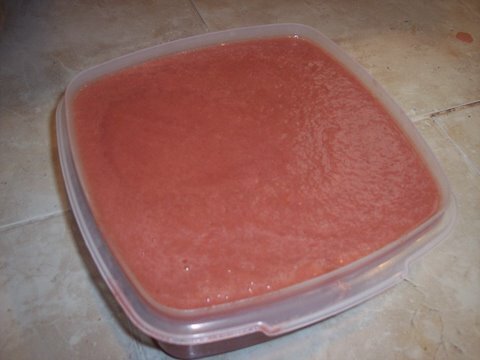 I hate rhubarb...But this is my favorite Pat Green recipe! She has served rhubarb slush at every baby and bridal shower I have attended. I love it! Thanks for sharing this with our web friends, Joanne! Can you do this with other fruits? I'm not a fan of rhubarb, but this sounds like it would be good with other fruits. Yes, Mike! It works great with peaches, apples, pears, etc.